Here are pics, and some instructions from Steve Szablya. Note this is for a FEED torque brace. 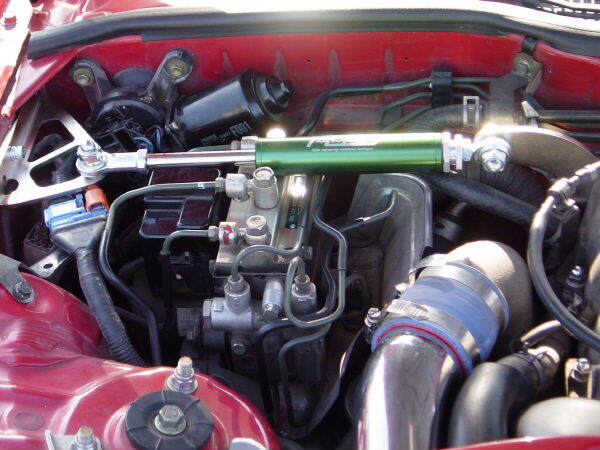 This is made for Japanese rhd cars, so the mounting is done differently to clear the ABS/hydraulic unit. There are two ways to install it.. The "normal" way, in which the fender bracket is placed right-side up, and the way I ended up having it, with the bracket upside down. If you install the fender bracket upside down, then the brace will clear the ABS easily, and not get gouged by the ABS hardline bolt, so this is the way I'll explain it. Remove the UIM Engine Hoist Bracket. Don't drop the bolts! Install the fender bracket, using the provided bolts (the shorter, smaller ones). You will only be using one bolt for this (of 3). Install the bracket so the mounting point is ABOVE the bracket, not below as it appears it should go on. I believe only the centermost bolt will fit. Make sure this bolt is tight, as you're going to leave out the other two. 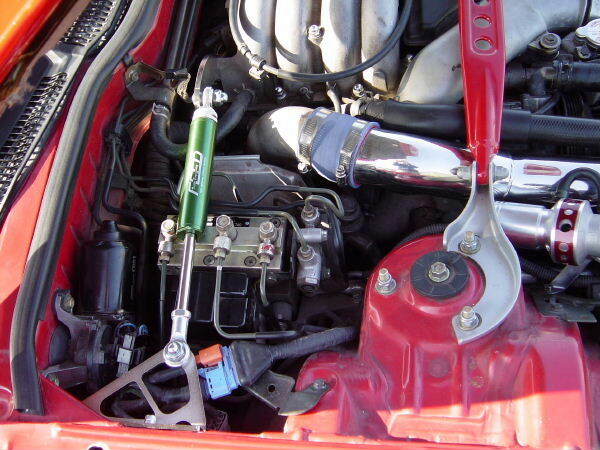 The FEED brace will install with the green end closest to the UIM. Slide the green end of the FEED brace on the bolt, then a washer and lastly a nut. Do not tighten all the way. 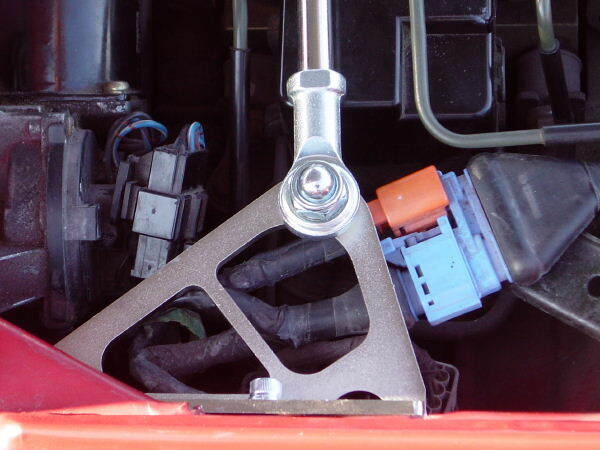 Install the last hex-bolt, through the shaft-end of the brace, and drop it DOWN through the fender bracket hole. Install a washer and nut from underneath. Tighten. Tighten the UIM bolt until snug. 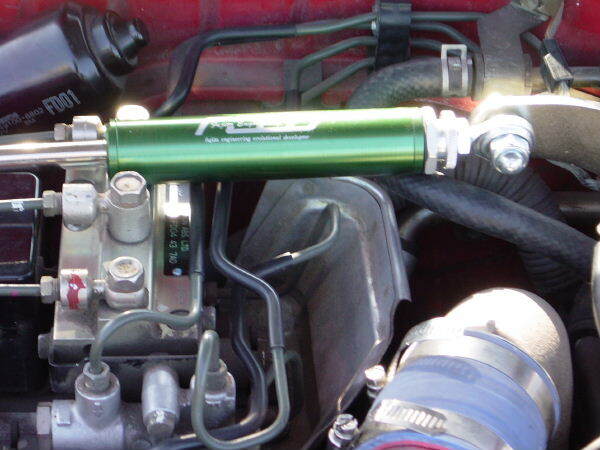 Preload can be adjusted by screwing in, or unscrewing, the threaded inserts at the green end of the brace. You'll have to play around with this. I ended up unscrewing mine until I had to push on the engine from the passenger side to get it on the UIM bolt. If the unit doesn't fit, it could also be that your motor mounts are in bad shape and the motor rests rearward a little more than mine. After I mounted my brace this way, I had zero clearance problems.